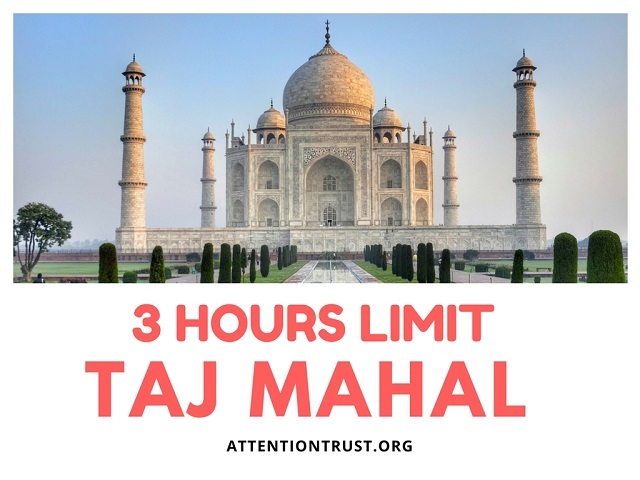 Well Taj Mahal, this is a very interesting and we are sure must be a surprising news for the Indians or travelers that one can spend only 3 hours on one ticket inside Taj Mahal, a wonder of the world. The decision was taken to manage the huge number of visitors who come there from far places to visit this significant wonder of the world. From April 1, the rule will be implemented and it will be same for both local and international visitors. If one wishes to stay there for long then he will have to buy an extra pass. Would love to visit Taj Mahal,thanks for sharing.